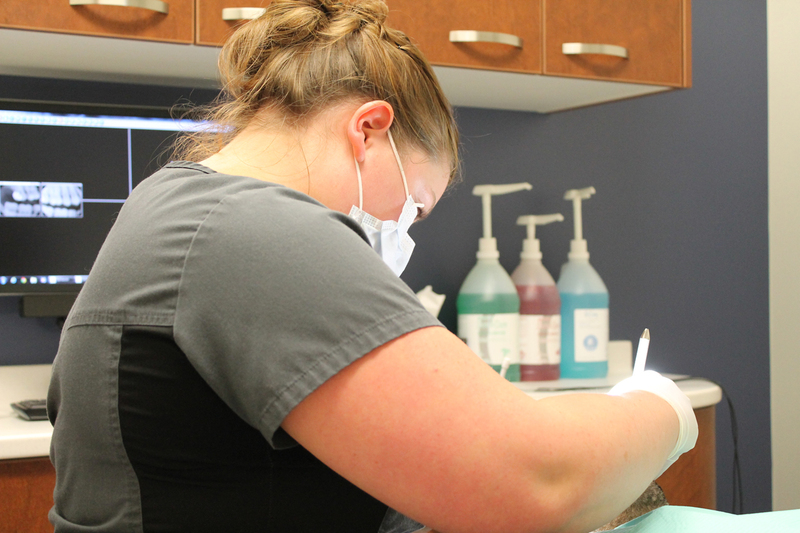 Is it time for your regularly scheduled teeth cleaning? Dental teeth cleanings include the removal of plaque and tartar deposits that have built up on the teeth over time. Because your teeth are constantly surrounded by saliva, the calcium and other substances in saliva help strengthen and protect your teeth. Although this helps give you teeth protection, it also means that we tend to get a build-up of calcium deposits on our teeth. Eventually these deposits build up over time and can sometimes discolour your teeth. In the case where tartar keeps building on your teeth, it unfortunately provides just the right conditions for bacteria to thrive next to your gums. By polishing and cleaning your teeth, it leaves the surfaces of the teeth clean and smooth, so that bacteria are unable to stick. By brushing and flossing everyday, it means you have a better chance of keeping your teeth clean. If you’re finding your teeth discoloured or not their smothest, you may be in need for a proper teeth cleaning. Give us a call at (306) 374-7272 or get in touch with us for an appointment today.